I was recently contacted by the All Free Crochet website because they put together a collection of Dragon themed crochet patterns, and one of my patterns was included! I was intrigued because I haven't ever actually designed with a dragon theme inspiration. I love it when other people see things in your designs that you never saw yourself! They chose my Blossom Necklace pattern, and now that they have included it in the dragon themed collection, I can see its dragonesque qualities! I think the embroidery embellishment really makes it fit into the theme. 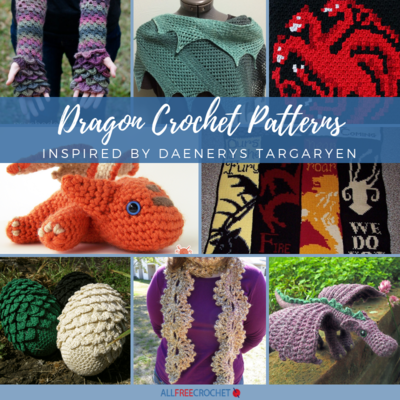 Whether you are into dragons or not, they have put together a lovely collection of 30 FREE crochet patterns to inspire you! International Crochet Month Designer Showcase 2019! If you didn't already hear the news, March is International Crochet Month! I am participating in the International Crochet Month Designer Showcase with Underground Crafter. Come join the fun! 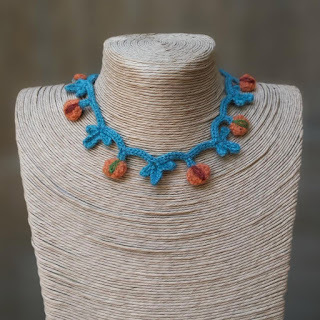 Every day in March 2019, a different crochet designer who is also a member of the Crochet Guild of America, will be highlighted. Each designer will share a free crochet pattern or a 25% discount on a premium pattern. We've partnered with some of our favorite companies to get some great prizes for you-- including yarn, crochet hooks, notions, pattern books, and more! Find out more information about participating designers, the schedule, and how to enter to win the prizes on Underground Crafter. I have been a member of the CGOA for the past 10 years, and what a wonderful 10 years it has been! I first joined because I was interested in starting designing professionally for publications and I wanted to take advantage of the mentor program. "Crochet Guild of America offers a mentorship program, which matches new crochet professionals with established professionals to help enhance the crochet industry, while ensuring that professional ethics and standards are practiced and encouraged. 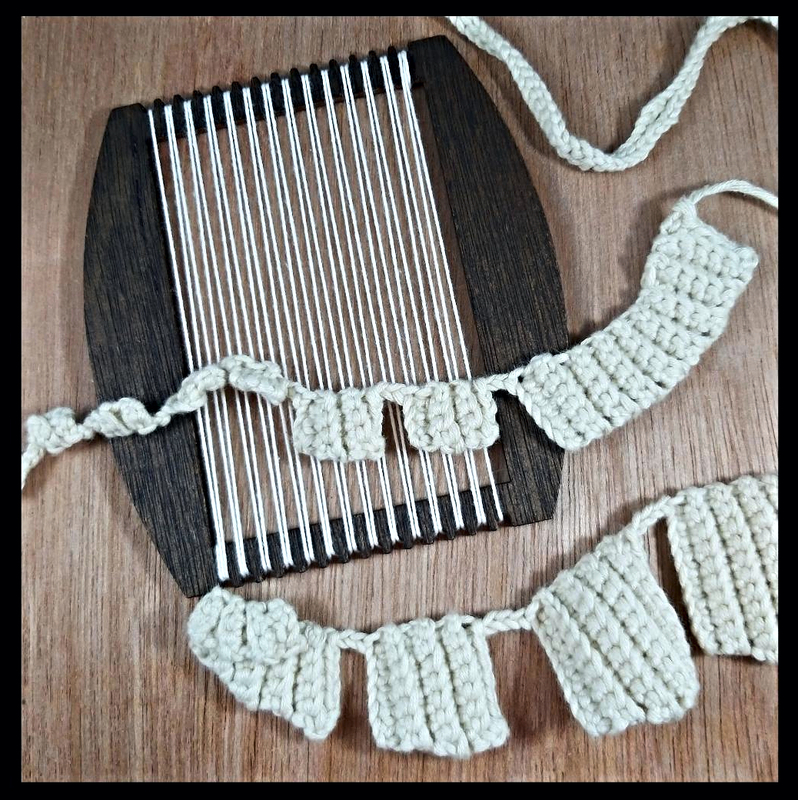 It is these professional approaches that help to bring crochet from a hobby to a career". I was paired with the amazing Margaret Hubert, who gave me advice on getting started submitting to magazines, and how the industry works. Within two years, I was able to obtain Professional status within the CGOA. It means a lot to be recognized in the industry for your work, and the mentor program has successfully launched many designer's careers! In addition to the mentor program, I love the CGOA for the community itself. Most of the time, designers are working solo from home. The yearly Chain Link conference is a great chance to get together with others who are working in the industry and who understand exactly what you do and why you love to do what you do! To see all of the benefits of being a CGOA member and to join the organization, visit their website. 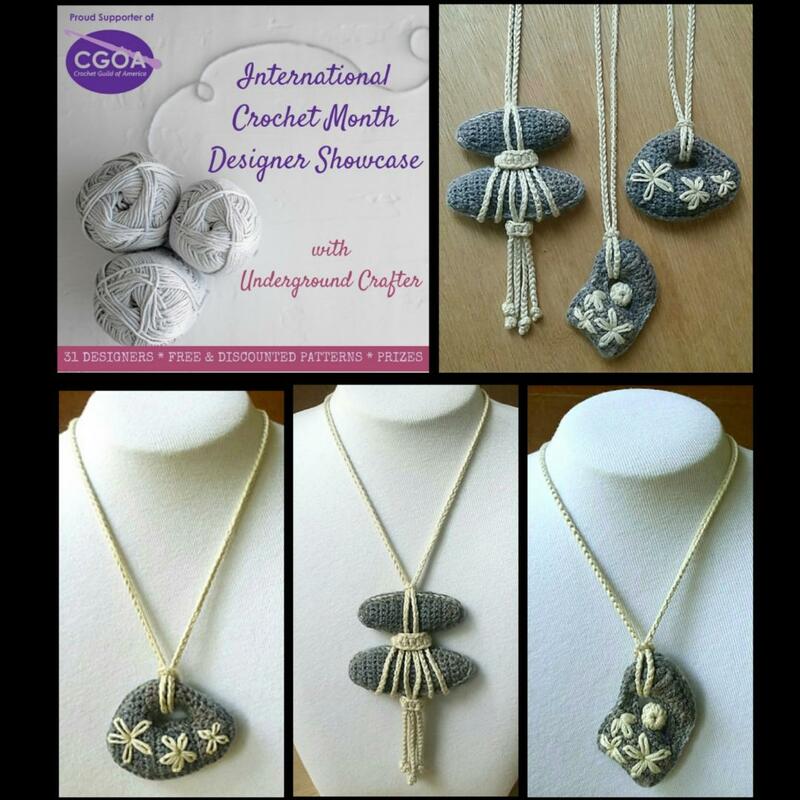 To celebrate international crochet month, I am offering a 25% discount on my new Stone Necklace Trio pattern collection. This collection of necklaces was inspired by jewelry made with natural stones. I love the idea of crocheting around real stones, but it would be difficult for people to make the necklace exactly as I designed if they don't find stones similar to mine. The resulting pendant will be very different. By writing a pattern for the stones, everyone will be able to make the necklace as I intended it to be! 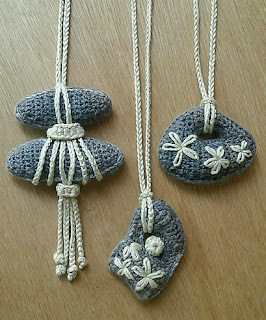 I wanted the stones to be 3-D, and I didn't want the supply list for the necklaces to be too extensive, so instead of stuffing them with fiberfill, they are stuffed with crocheted pieces. These pieces are the perfect shape, and they add just enough weight to the pendants so they hang nicely. Each one has its own personality, and would make a unique gift. Fun to make and fun to receive! 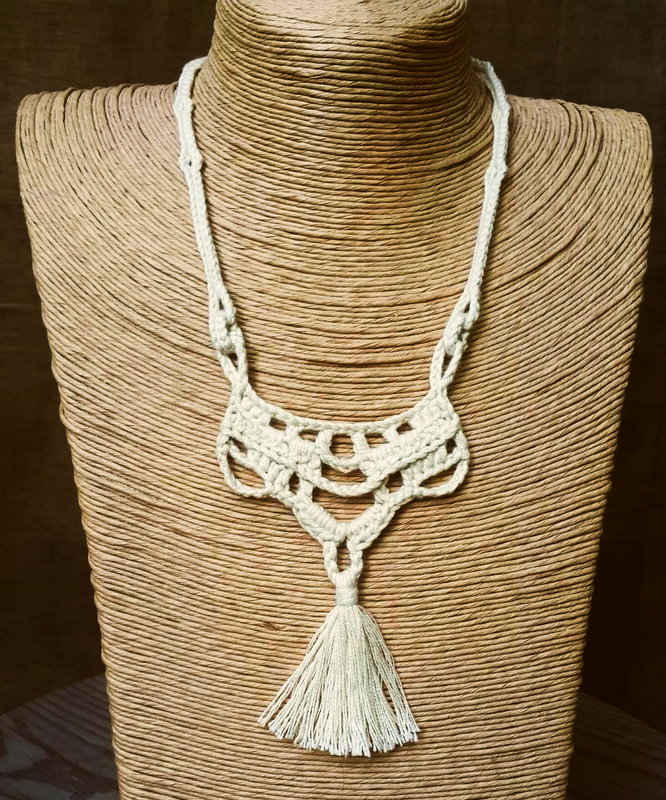 You can choose to embellish the stones with embroidery or let the crochet and beauty of the yarn speak for itself. The regular price of this pattern collection is $4.95, and starting today through March 21st, it will be available for $3.71. Just enter the coupon code: ICM25 when you check out. I look forward to seeing your stone jewelry creations on Ravelry! Best wishes for a March filled with the joy of crocheting! 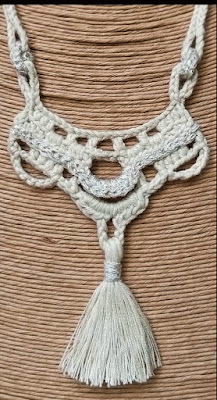 Combining Crochet, Wood, & Embroidery! I keep developing my mixed media style to incorporate techniques I love into unique jewelry pieces. This time, I decided to make mini versions of some of our eWoodStory Modern Stitchable Pendant shapes for the Sadu House Shop in Kuwait. 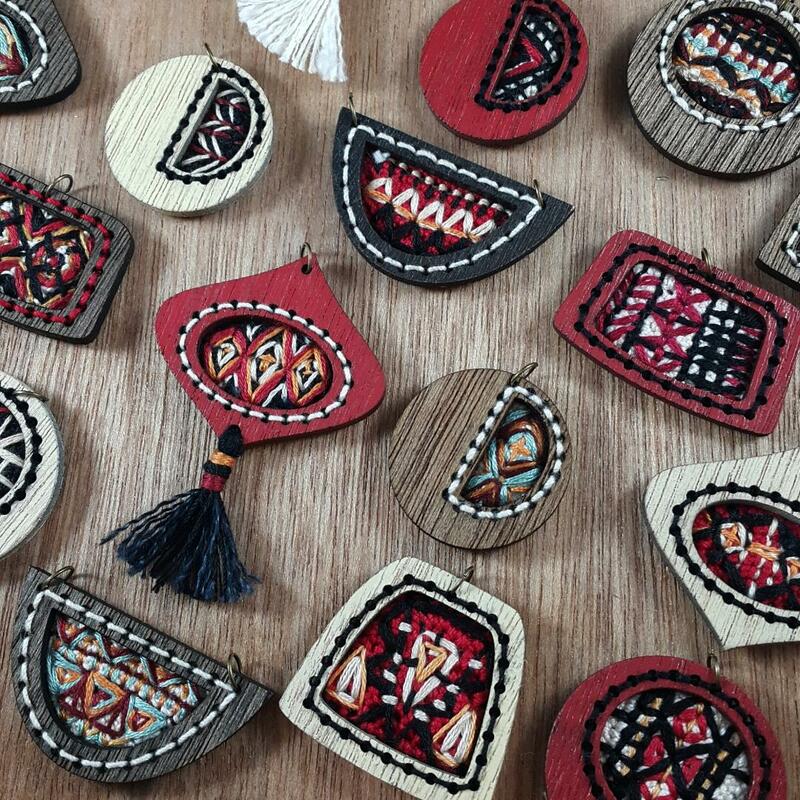 These pendants were inspired by the patterns in traditional Sadu weaving. I crocheted the backgrounds for each shape, then embroidered the design on top of the crochet. I made 21 of these, and no two are exactly alike! That shows how much inspiration can be taken from traditional patterns! I especially love how they look as a collection, cohesive in color and similar in pattern, makes them interesting to look at! 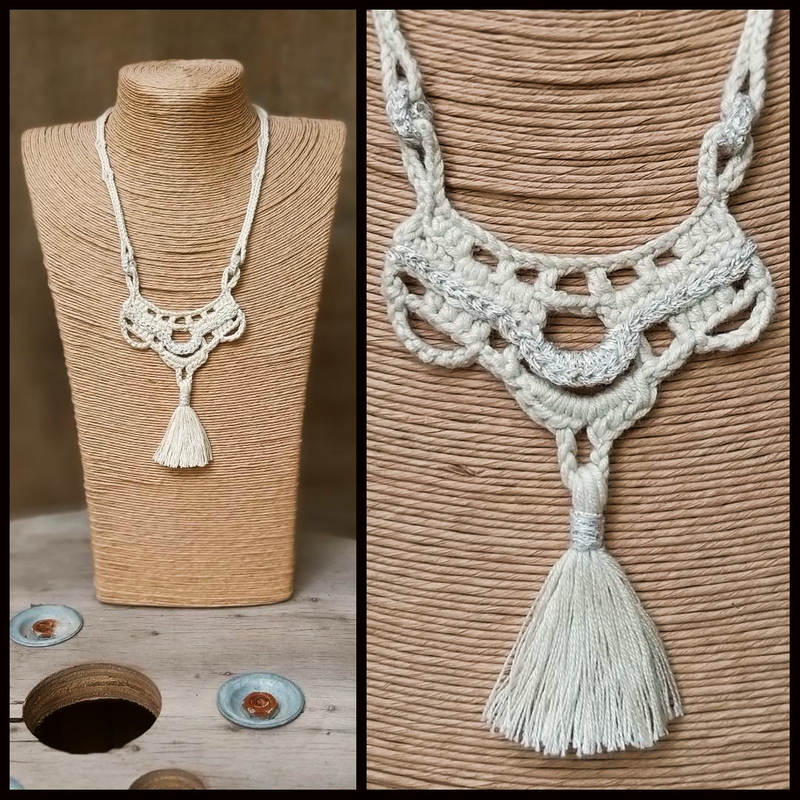 For the first blog post of 2019, I have a few ideas on how to customize my newest crochet necklace pattern, the Venezia Necklace. The first idea I had, is an easy and subtle way to add a little sparkle. 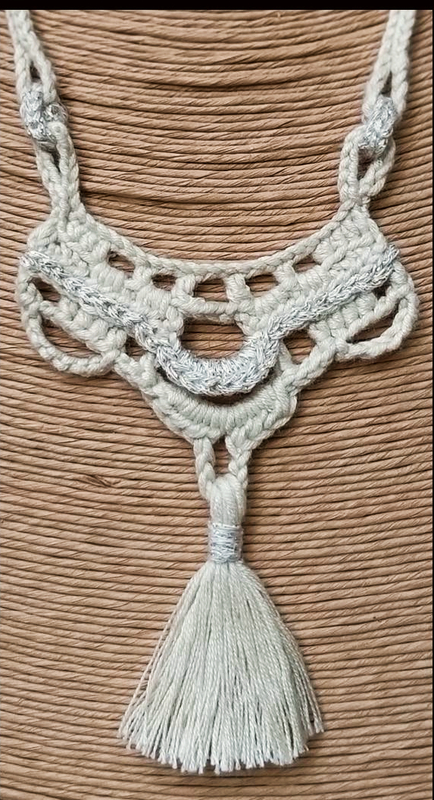 The ring links that link the chains to the medallion were crocheted in a silver metallic yarn, and the tassel was also wrapped in the same yarn. The finishing touch was the surface crochet between the second and third rows in the medallion, from the beginning to the end of row, crocheting around the chains in the center as you work across. This version doesn't have to be limited to using a metallic yarn, you could make the same modifications using a different color or colors, for a completely different look!